What do popular projects like Docker, Heroku’s Force.com and Cloud Foundry’s (Go)Router all have in common? They’re all written in Go (a.k.a. 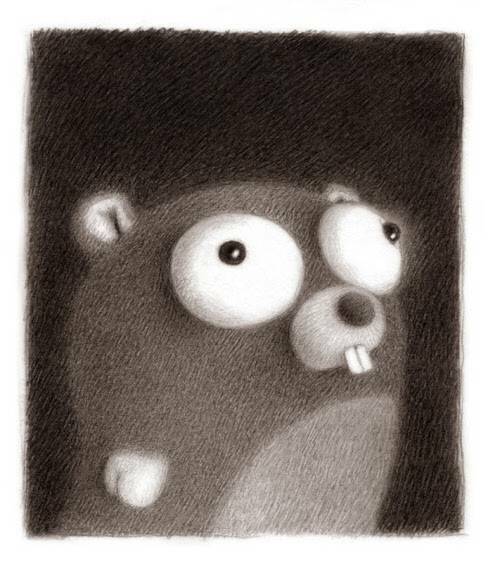 “golang”), Google’s five-year-old programming language. While languages like Java continue to dominate programming, new models have emerged that are better suited to modern computing, particularly in the cloud. Go, written expressly for the cloud, has been growing in popularity because of its mastery of concurrent operations and the beauty of its construction. Google's mascot for its Go programming language. But this doesn’t tell the whole story. While it’s basically impossible to figure out the number of jobs requiring Go skills, due to its generic name, there are a number of sources (see here, here and here) that suggest Go is gaining momentum as an important programming language for employers. The best leading indicator of Go adoption, however, is its rise in open source development. This means, of course, that Go is becoming a really big deal, especially if we consider the outsized importance of some of its most visible projects on GitHub, like Docker. Go isn’t all-encompassing. You don’t get everything built in. You don’t have precise control of every nuance of execution. For instance, you don’t have RAII. Instead you get a garbage collector. You don’t even get a memory-freeing function. What you’re given is a set of powerful but easy to understand, easy to use building blocks from which you can assemble—compose—a solution to your problem. It might not end up quite as fast or as sophisticated or as ideologically motivated as the solution you’d write in some of those other languages, but it’ll almost certainly be easier to write, easier to read, easier to understand, easier to maintain, and maybe safer. The issue for PHP and even Node.js is obviously you’re trapped in a single-threaded situation and what I really wanted was to be able to do a lot of things concurrently. My options were to go with something like Java, where you have more memory overhead, or I could go with something like Go that was built from the ground up for concurrency and using very modern patterns. Go also delivers concurrency with the “static execution speed of C or C++” and with “a more compositional feel, a script kind of feel.” Ultimately, developers fall in love with “the beauty of the language” itself, which is quite a compliment. Go provides a model for software construction that makes dependency analysis easy and avoids much of the overhead of C-style include files and libraries. Go’s type system has no hierarchy, so no time is spent defining the relationships between types. Also, although Go has static types the language attempts to make types feel lighter weight than in typical OO languages. Whether it’s about easy composition or easy concurrency, developers seem to prefer Google Go because it was written for the cloud, and that seems to be where the future is headed. As Berkholz concludes, “Tooling that can ease the complexity for both new entrants and existing users of the cloud will continue to gain prominence at all levels of the stack.” This is true for Go, and suggests it has a bright future at the center of cloud development.